Who has AMC revealed in their latest midseason promo? Fans of the Walking Dead television programme. meet Lydia. And her mother’s gun. Lydia is a young member of the Whisperers, the latest gang of baddies to cause conflict with our heroes. In the comics, she is the only member of the Whisperers to reveal her true name. 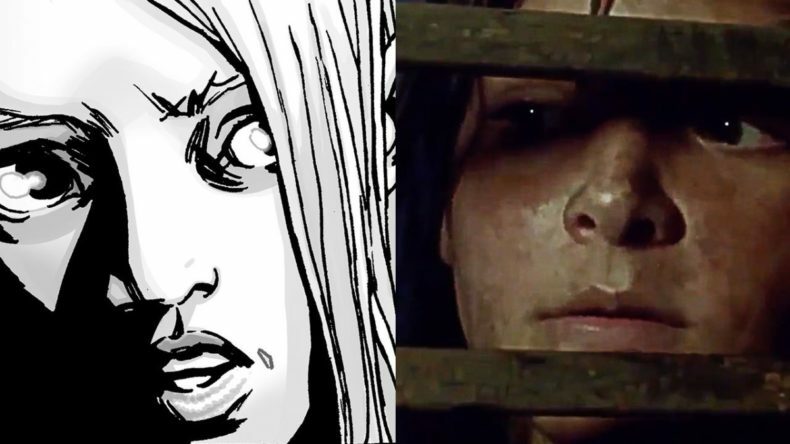 Also in the comics she develops a relationship with Carl, because he takes one look at that wrinkly hideous mask and thinks “Hubba hubba, where’ve you BEEN all my life?” But there’s no Carl now. What do you plan to do about this, Kang? This is a bit of a spoiler, but it’s easy enough to discern from the trailer itself: Lydia is how the Hilltop winds up meeting the Whisperers as a whole. She is captured and thrown in jail, which leads to an army of Whisperers led by Lydia’s mother “Alpha” to attempt getting her back. Watch these events unfold, plus possibly more, when The Walking Dead returns to AMC February 10.